Abstract: Social psychologists have found that stereotypes correlate with moral judgments about agents and actions. The most commonly studied stereotypes studied are race/ethnicity and gender. But atheists compose another stereotype, one with its own ignominious history in the Western world, and yet, about which very little is known. 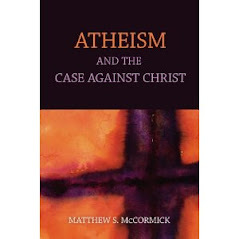 This project endeavored to further our understanding of atheism as a social stereotype. Specifically, we tested whether people with non-religious commitments were stereotypically viewed as less moral than people with religious commitments. We found that participants‘ (both Christian and atheist) moral appraisals of atheists were more negative than those of Christians who performed the same moral and immoral actions. They also reported immoral behavior as more (internally and externally) consistent for atheists, and moral behavior more consistent for Christians. The results contribute to research at the intersection of moral theory, moral psychology, and psychology of religion. Coming out in Journal of Cognition and Culture. Available on Google Scholar now here. The included meme should be followed with one phrased as "what if there is no god and we are just wasting our time and civilization on nothing?" Am I the only one who is beginning to think atheist blogs are run by the North Korean Government? All this image plus slogan propaganda. I tend to visit more atheist than theist blogs so I am not sure if there is a difference. Perhaps posting pictures with soundbites is now considered a form of reasonable discourse? Trueandreasonable, if you will take a minute to look around a bit, you will find several hundred involved and substantially argued posts. Matt McCormick. Your site is not one that I had in mind when I made the North Korea comment. I have taken some time to read through your blog and I agree with your comment. Your blog contains many thoughtful articles and posts. I think I made the comment because I thought, "even here?" I have great respect for philosophy and critical reasoning. It saddens me to see so many propaganda pictures in this discussion in general. I assume Christians use them too and its no better there.